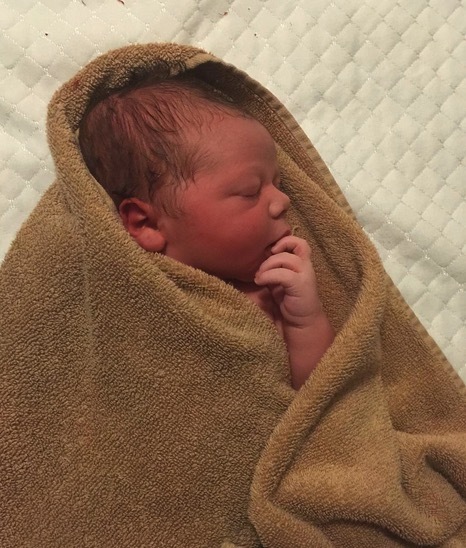 Jessa Duggar Seewald is back at home with her husband Ben and their new bundle of joy, a 9 lb. 11 oz. 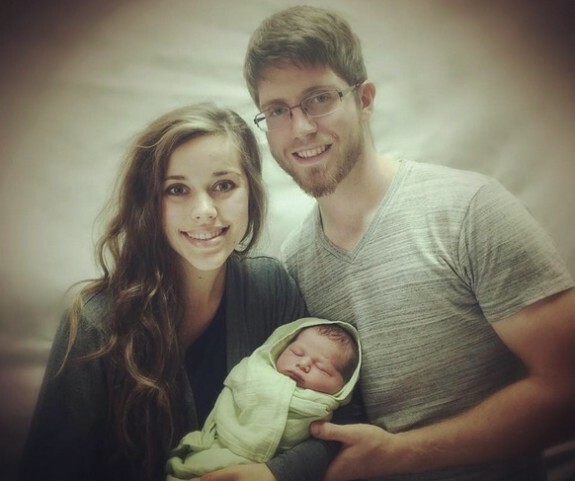 son Spurgeon Elliot Seewald. This first-time mom was due to deliver on November 1 – which by coincidence was the date of her first wedding anniversary, but it didn’t work out that way. Her 10 hours of contractions nearly caused her to change the plan. With her midwife, mother Michelle, and sisters at her side she struggled through those long labor hours, at one point saying she’d changed her mind and wanted to go to the hospital for an epidural to relieve the pain. But she fought through it because, she says, she “wanted it to be all-natural if possible.” Her labor lasted 48 hours before her son finally arrived at 6:54 am on November 5. The young couple’s relief and joy when their son was born was quickly interrupted by a very scary moment. Jessa began bleeding so heavily that the midwife was concerned. Mom Michelle Duggar was the calm presence in that storm, immediately calling 911. Still alert and awake, 23-year-old Jessa was taken by ambulance to the hospital where she was given a blood transfusion and kept overnight. Jessa says that going to the hospital was a shock, interrupting the post-birth moments she had daydreamed about, especially being able to breastfeed her baby right away. Now this happy – and healthy – family of three is busy adjusting to the new routines in their Springdale, Arkansas home. 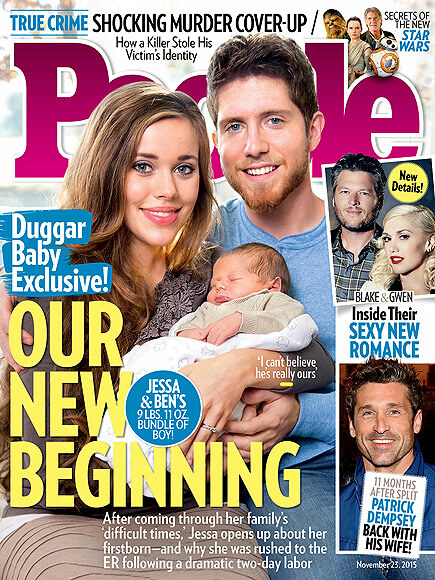 Jessa told People.com the baby is named after Charles Spurgeon, a British preacher who lived from 1834-1892. His middle name, Elliot, was given to him in honor of late missionaries Jim and Elisabeth Elliot, who worked in South America. “He is going to have this name for the rest of his life,” Ben added.